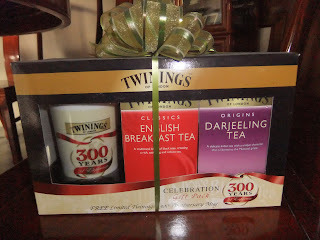 The Darjeeling tea, seen as photo below, is my wife's gift. 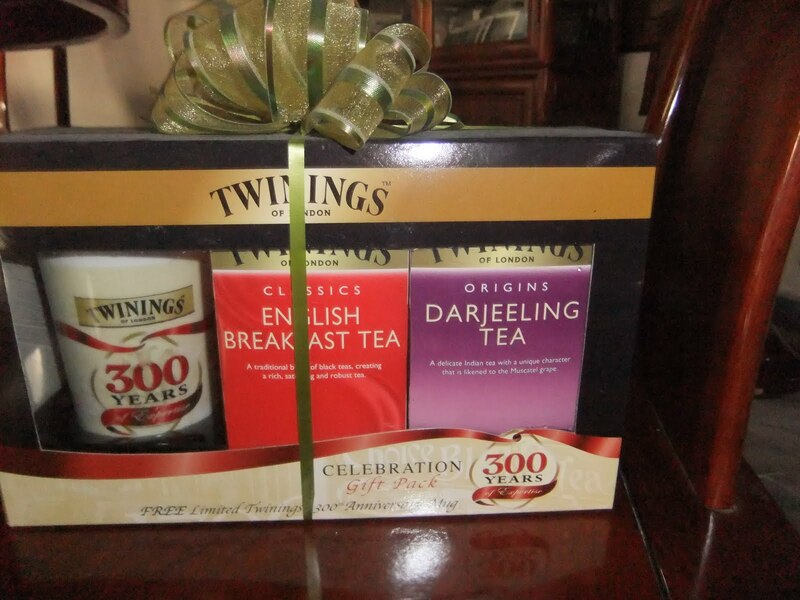 Its original pack of three, Twinning pack with Classics English Breakfast Tea and Origins Darjeeling Tea, is very suitable to be used as a lovely gift. She received it from her friend who must had came out with such a gift after deep thought, I believed. It was displayed in one of the cabinets and only caught my attention recently, after looking for something to write for my tea blog. This tea reminded me of my online tea group of friends and I decided to blog it out to kick start of Darjeeling tea and English tea. I believe some of them will take this opportunity to share this tea or experience before I give them a try. I urge all parties to make use of this platform to have a meaningful dialog. Perhaps we can also have deeper knowledge of Eastern and Western Tea, their differences in term of taste, aroma, their respective preparation and etc..in respect of these two teas. I was made to understand that this tea is also known as Black tea among tea connoisseurs and it is increasingly gaining popularity. Raised and cultivated in the healthiest environment of the Himalayas, the young leaves are thought to have excellent health benefits from its rich source of antioxidants, vitamins and minerals. I will share with you its taste once I have tried out. 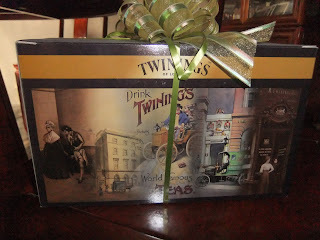 For those who have tasted this tea, please share with us some of your experience. We definitely love to hear from you. From my understanding this tea is naturally processed. The fresh leaves are carefully handpicked and immediately left to dry; this gives its taste much like of freshly picked leaves. It contains only a small amount of caffeine making it suitable for people with high blood pressure and heart ailments. The tea is cultivated in the cold mountains of India; they are basically handpicked, air dried, steamed and rolled tightly almost immediately. Once these leaves are completely air dried, it will then be steamed or fired at around 80 degree Celcuis for 2-3 minutes. The leaves can be steeped 3 times, but each steeping thereafter needs a longer period of time. Be mindful not to let the concoction to boil or overheat because it will cause the taste to turn bitter. Hope you find this article useful and please do not hesitate to put forward your view in this regard. Thanks and have a fulfilling weekend. 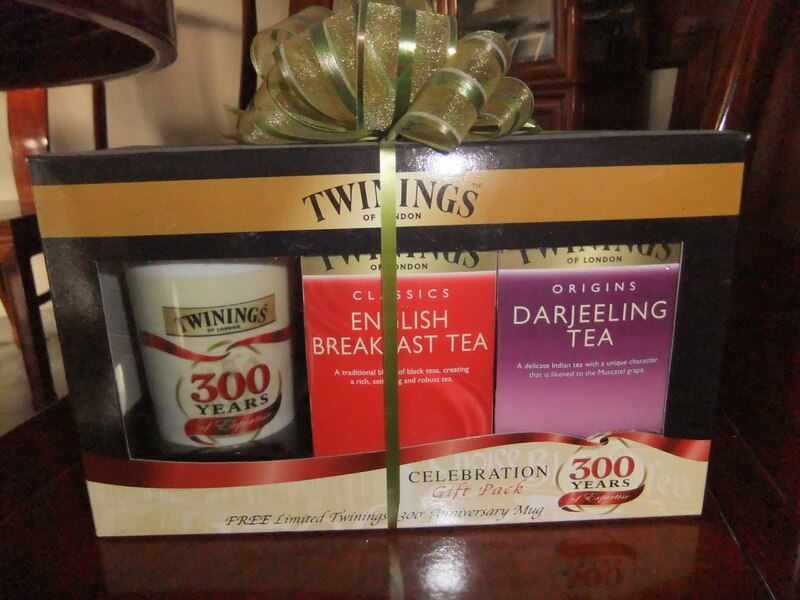 Darjeeling Tea is very beneficial for the health. Three cups of tea everyday can give you a lot for your body. Thanks for your kind confirmation and hope to seeing you again, Ahnn.